In an increasingly complex, uncertain and dynamically evolving world, the ability to respond to and learn from disasters has become more important than ever before. 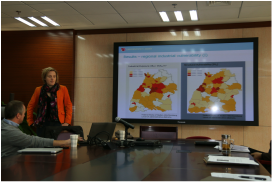 The team of the Disaster Resilience Lab has expertise in the design, analysis and improvement of information and decision support systems for disaster management. The Typhoon Haiyan that hit the Philippines in November 2013 initially brought us together to unite in the response to one of the greatest natural disasters ever. To coordinate our efforts we have established the Disaster Resilience Lab as a platform for our joint work, bringing together resarchers from the Centre of Integrated Emergency Management (University of Agder, Norway), Tilburg University (The Netherlands) and supporting research institution such as the Ecole de Mines Albi (France). We thank our institutions for their support of this unique collaboration. We aim at connecting to academic researchers; professionals and volunteers working in disaster response in the field to understand the needs for sensemaking and decision support in crises so that we can design appropriate solutions and ultimately improve disaster resilience. We aim at conducting research that is relevant to practitioners while applying scientifically sound and rigorous methodologies. We deploy research teams to the field during the response phase while providing continuous remote expert support during the team's operations. This combination enables us to research disasters by drawing from field experience and scientific analyses. The DRL approach has been field tested in missions to the Philippines for the Haiyan Response (December 12-23, 2013), the West African Ebola Crisis (December 2015 and January 2016) and in the response to the Syria Crisis (Jordan, Turkey and Lebanon (May 2014 and June 2015). The aim of our research is to support innovations of processes, tools, and systems that will improve preparedness and response. We realise that we only can achieve this aim by engaging in an active and open dialogue with responders, practitioners, policy-makers, researchers and... you! 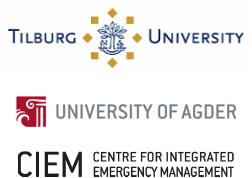 The Disaster Resilience Lab is a joint initiative of the Department of Management, Tilburg University, the Netherlands, and the Centre for Integrated Emergency Management, University of Agder, Norway. We work together with researchers around the globe for the purpose of conducting disaster (field) research. Find out more about our team here. We engage in active discussions at conferences and workshops. If you would like to get an overview about our work, check our presentations. Selected papers about humanitarian information management, logistics and decision-making.